R' Yehudah tells us in the name of Shmuel (Sanhedrin 104b) that the Anshei Kenesses HaGedolah wanted to include Shlomo HaMelech on the list of kings who lost their portion of Olam Haba. An image of David HaMelech had prostrated itself before them, beseeching them not to include him in his merit, but they ignored it. A fire came out of the Kodesh Kadashim, presumably invoking Shlomo's merit of having built the Beis HaMikdash, but they ignored that as well. 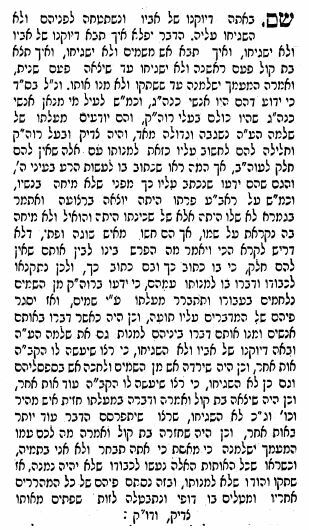 A Bas Kol rang out, invoking the merit that Shlomo built the Beis HaMikdash before his own palace, and was much more diligent in building the former than the latter, but they still ignored it. Finally, a Bas Kol rang out, telling them that Shlomo would be welcomed into Olam Haba regardless of what they would say - the Chachamim can only decide Halacha, not whether a person should be welcomed into Olam Haba. At that point, the Anshei Keneses HaGedolah conceded and left Shlomo's name out of the Mishnah. What exactly is this back and forth? If the Chachamim can't determine whether a person should enter Olam Haba, why was that Bas Kol not the first proof? Why were Shlomo's merits not invoked before his father's? And why did the Chachamim reject each one? R. Yosef Chaim of Baghdad discusses this in his commentary to this Talmudic passage. His answer is that the whole thing was a mere ploy. The Sages actually knew that Shlomo was a worthy person and they never entertained the notion that he was in the same category as those who have no share in Olam Haba. However, the verse in I Kings 11:6 states that Shlomo did evil in the eyes of God. The Sages themselves knew that this merely referred to the fact that he did not protest to his wives. According to the Talmud elsewhere, one who can protest sin but does not is considered complicit in the sin. However, the fools do not know this, and when reading the verse they would think that Shlomo actually was himself a sinner no different from those who lost their share in Olam Haba. Therefore, the Sages decided to stand up for Shlomo's honor. They knew that if they would try to categorize Shlomo with the others, Heaven would defend him and it would become clear to everyone that Shlomo was not bad, thus silencing the aforementioned fools. The reason that they did not stop after the first response was that they wanted another response to reinforce the point even more. Thus, they "ignored" the image of Dovid, and again they ignored the fire, and yet again they ignored the first Bas Kol, so that God would have to furnish more and more miraculous proof. Finally, after the second Bas Kol they stopped because at that point it was enough to silence anyone who would speak against Shlomo. Not the answer you're looking for? Browse other questions tagged midrash olam-haba-world-to-come maseches-sanhedrin king-solomon bas-kol . 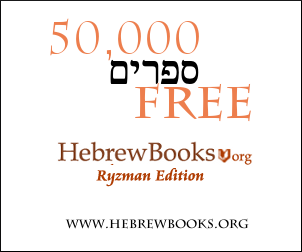 What is the “Ode to the woman” of Shlomo HaMelech? Why does the Midrash single out these names? Who said that little Tzfardeaim jumped out of the big one's mouth?